Finn without his hat <3. Who else thinks finn looks totally hot withought his hat? or with his hat? EITHER WAY? I think the episode is Beautopia? I could be wrong... If this picture is already up post in the comments and I will take mine down. :). Wallpaper and background images in the Adventure Time With Finn and Jake club tagged: finn human hat hair blonde cute hot <3 adventure time. 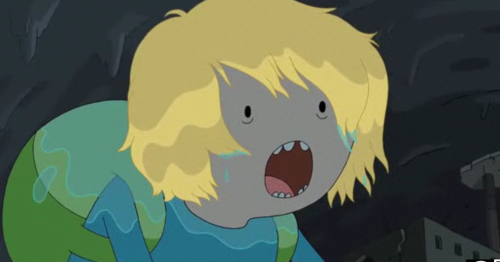 We must treasure every moment we see Finn's hair.